Many people are unaware that poison 1080 (also called sodium fluoroacetate) is the most environmentally sensitive and target-specific poison available to protect Australia’s vulnerable wildlife and ecosystems from feral animals, because it occurs naturally in over 30 species of Australian native plants. 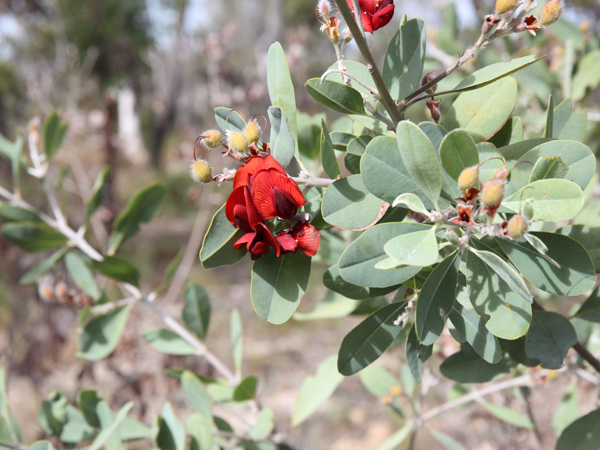 Most native plants containing 1080 occur within the pea bush family of Gastrolobium species, found mostly in Western Australia; some of the Gidgee species of Queensland and the Northern Territory also contain this chemical. These plants evolved this compound as a defence mechanism to deter mammals and insects from eating their foliage and seeds. Being a natural toxin, 1080 biodegrades quickly and is broken-down into harmless compounds by microorganisms and bacteria when exposed to soil and water. The high target specificity of 1080 is due to Australian native wildlife’s natural resistance to it as a toxin. Australian animals have shared the landscape with plants containing 1080 for many thousands of years. However, introduced mammals, such as wild dogs, foxes, cats and livestock, are much more sensitive to the poison. A young male quoll captured in Southern Kosciuszko National Park fitted with a radio collar as part of the aerial baiting trial. These important natural characteristics of 1080 – its target specificity and biodegradability – mean that it can be used to prepare poison baits that target particular pest animal species, such as meat baits for the control of wild dogs and foxes. The incredibly tiny amount of 1080 injected into each wild dog and fox bait is deadly to those species but safe for native predators, including birds of prey (e.g. wedge-tailed eagles), reptiles (e.g. goannas) and the iconic spotted-tailed quoll. Despite incorrect claims that 1080 is harmful to these native species, in reality they are all known to eat meat baits poisoned with the compound 1080 and survive. This is because they are much more tolerant to the poison than the wild dogs, foxes or feral cats the baits are designed to target. Spotted-tailed quolls, the largest marsupial predator on the Australian mainland, thrive in areas of New South Wales that have aerial baited wild dogs and foxes for decades. Baiting reduces the risk of predation and competition for resources. 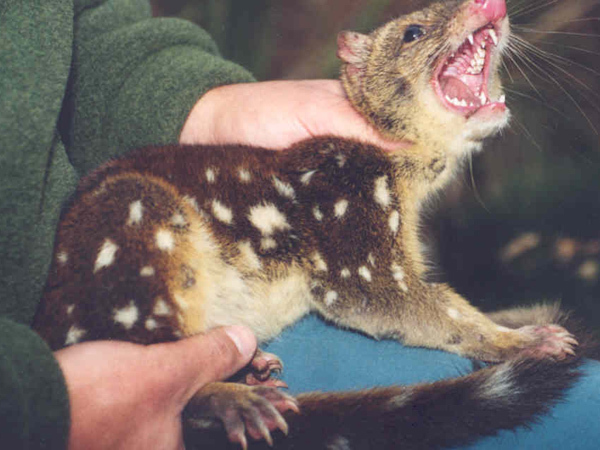 Intensive research undertaken within Kosciuszko National Park and the New England tablelands between 2002 and 2005 showed that spotted-tailed quoll populations were unaffected after individuals ate meat baits containing 1080. The proof came from adding a special dye to the 1080 meat baits, one that can later be detected in their hair and whiskers of animals that have consumed baits. The whiskers from resident animals trapped after the baiting showed that many had eaten baits with some individuals consuming up to five. These same quolls were recaptured in following years and showed no ill effects from eating baits containing 1080. As a result, in 2006, NSW National Parks and Wildlife Service overturned their ban on 1080 aerial baiting for wild dogs based on this research. Rather than being harmful, 1080 is Australia’s natural toxin. It’s target-specific, biodegradable, and an essential tool in the fight to protect Australia’s unique wildlife and ecosystems from the impacts of introduced, feral animals. Heart leaf poison bush (gastrolobium grandiflorum) is one of the many native pea plants known to contain sodium fluoroacetate poison.